“We are pushing the boundaries of what has never been before on such a wide scale by showing America exactly what abortion is — and abortion is disturbing. It’s violent,” 38-year-old Johnson told Fox News in a written statement. 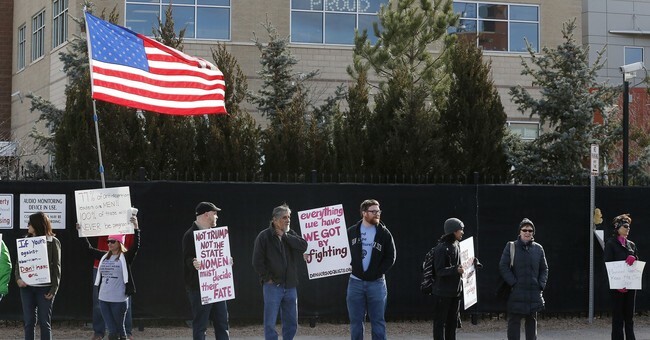 Pure Flix is the company responsible for the production and distribution of the anti-abortion film, which is scheduled to be released on March 29. Though the filmmakers admit to having been initially surprised by the MPAA’s rating of the film, they also told Fox News that they’re not too concerned about it. Mike Lindell is an investor in “Unplanned.” He too dismissed MPAA’s R-rating, while also expressing frustration at what he perceives as an attempt by the industry to prevent moviegoers from seeing the film. According to The Hollywood Reporter, the filmmakers were aiming for a PG-13 film. But the MPAA informed them that “Unplanned” will be rated R unless all scenes depicting abortions were either altered, or removed completely. The filmmakers have refused to change anything. “A 15 year-old-girl can get an abortion without her parent’s permission but she can’t see this movie without adult supervision? That’s sad,” Ken Rather, Executive VP of Distribution for Pure Flix told The Hollywood Reporter. Pure Flix will reportedly not appeal the MPAA’s R-rating decision, as such a process is “historically a long-shot,” and could result in the delay of the release of the film.